Trucking down the highway can be dangerous, especially if someone decides to swerve out of their lane and into the path of an 18-wheeler carrying over 2,000 cases of beer. That’s what happened a few years ago on a Canadian highway, leaving the road in a “sea of beer” as a police officer described it. The body count was zero, thankfully. The case count, unfortunately, was significant. 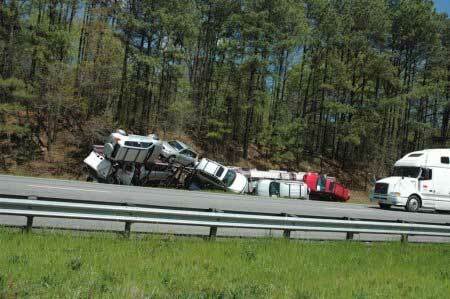 This scenario was made available thanks to a website dedicated to crazy and unbelievable truck spills. Basically, it’s like reviewing all those huge accidents you’d otherwise pull off on the side of the road to watch. 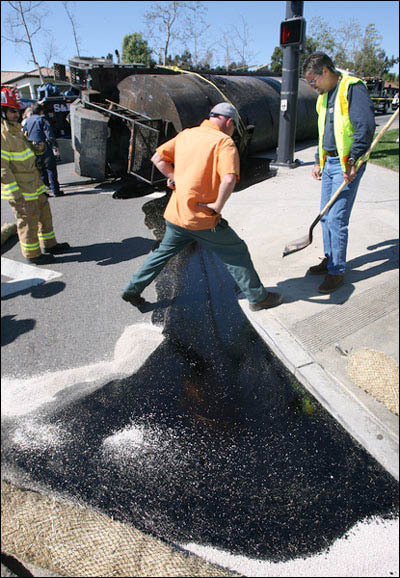 If you think beer is the worse spill, just keep reading. In 2004, 12 million honeybees were being transported to California. That’s almost 500 bee colonies for those of you keeping count. Let’s just say the fire department isn’t useful for only putting out fires. Another Canadian accident happened much more recently when a truck carrying commemorative Olympic coins that were going to be used for promotional purposes fell 40 feet off the road. They featured snowboarding, in case you were curious. I’m sure many people felt like it was raining fortune! Coins, bees and beer are all pretty crazy spills, but that’s only a few to wet your whistle. 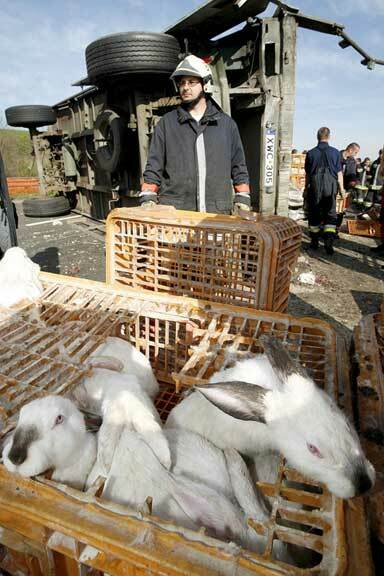 Accidents involving tar, lumber, garlic, and even bunnies are also included.